solution for viewing, filling out and electronically signing documents on one screen. 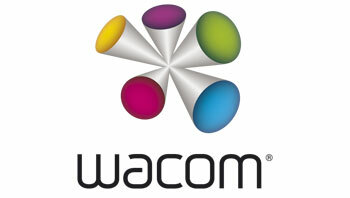 It operates as an external monitor, but incorporates Wacom’s patented pen technology to provide input for writing and signing. Featuring a 10.1-inch screen with 1024 x 600 resolution, the DTU-1031X lets customers clearly see the contents of a document and sign with confidence. 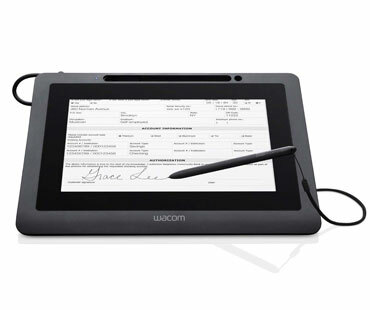 10.1” color LCD with 1024×600 resolution to view and sign documents. Single USB cable installation. USB cable supplies video, power and USB data. Patented, cordless, battery-free pen with 512 levels of pressure sensitivity for high quality signing/writing experience. State-of-the-art encryption to ensure secure transactions. Integrated stand supports use either flat on the desktop or at a 18° angle. Also supports VESA mounting. Hardened glass surface provides high durability. Unique hardware ID (UID) to identify the exact unit used for any transaction. Kensington® Security Slot to secure the unit when needed.